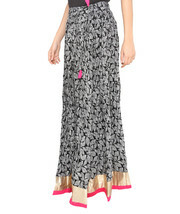 Pink Border leaves Jaipuri Skirt will flourish a perfect ethnic outlook which will magnify your beauty. 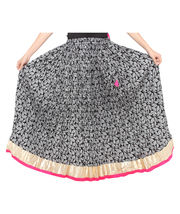 This black leaves jaipuri skirt features with golden hemline and a slight pink border. 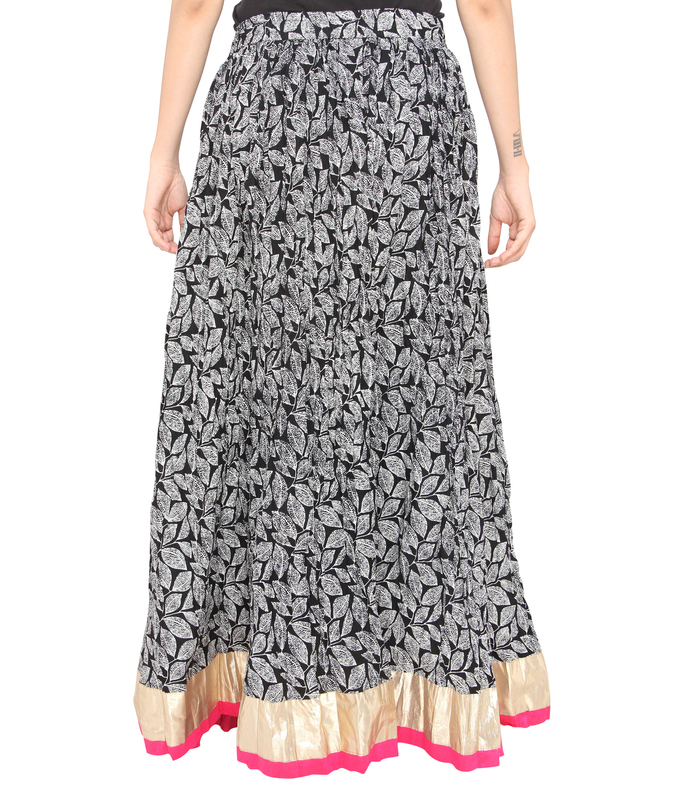 The black leaves jaipuri skirt will fit every bodys size with drawstrings attached at its waist. 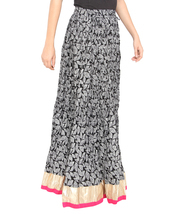 To give it a perfect look, you can pair it with an ethnic top which will make look you beautiful. 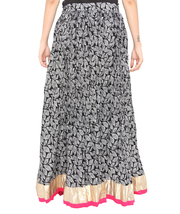 . . Made in India.